Facebook boss Mark Zuckerberg’s plans to make the social network more private have been labelled an “excuse to dodge responsibility” by an MP. 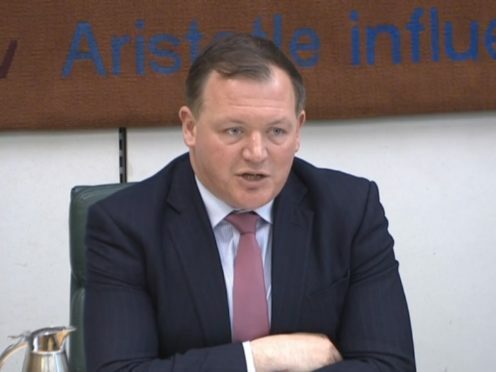 Damian Collins, who chairs the House of Commons Digital, Culture, Media and Sport select committee, and led an inquiry into disinformation and fake news which focused on Facebook, said Mr Zuckerberg’s latest comments were not in line with what he has seen about how the company operates. Earlier this week, the social media boss published an essay entitled A Privacy-Focused Vision For Social Networking, in which he laid out plans to enable users of Facebook’s range of services to interact privately and wider use of end-to-end encryption to protect data. However, Mr Collins said that Facebook’s past record of mishandling user data meant many no longer trusted the social network. “Mark Zuckerberg’s public statements on privacy need to be consistent with his company’s practices on privacy behind closed doors,” he said. “As we said in our report on Disinformation and ‘Fake News’, Facebook’s business model to date is based on a blatant disregard for people’s personal data and privacy and ruthlessly crushing other competitor apps, as evidenced by the Six4Three documents that we’ve published. The social network has been hit by a number of scandals in the last two years, including being used as a tool for attempted interference in the US presidential election of 2016, to the Cambridge Analytica data breach and the platform’s ongoing battle with misinformation. “Smarter, more robust regulation such as those recommended in our Disinformation and ‘fake news’ final report, currently being reviewed by the UK Government, is urgently needed,” Mr Collins added. In his note, which was posted to Facebook, Mr Zuckerberg said the platform wanted to make it possible to securely send and receive messages between any of its platforms – which include Messenger, Instagram and WhatsApp – as well as SMS, in a bid to make it more convenient for users, but admitted there are “significant challenges” to implementing such a system. “As I think about the future of the internet, I believe a privacy-focused communications platform will become even more important than today’s open platforms,” he wrote. The stance is a notable shift from public statements made by the Facebook boss in previous years – including in 2010 when he famously declared that privacy was no longer a “social norm”. It also comes as lawmakers around the world continue to debate an increase in regulation around social media and internet companies – with the UK Government due to shortly publish a White Paper around online harms, which is expected to include plans for regulation of social networks.